Digital On Hold Message Equipment for MOH, IVR and On Hold Marketing - On Hold Productions, Inc. Contact Us for Special Quantity Discounts! Tired of waiting for your on hold CD to arrive in the mail? Wait no longer! Choose a New, Digital mp3 On Hold Message Machine and get your on hold messages delivered via email instantly! No more delays or lost shipments! These state of the art digital players are designed for quick and convenient “plug and play” into your KSU (KEY system) PBX phone system that already has the required audio input for Music/Message On Hold (MOH). 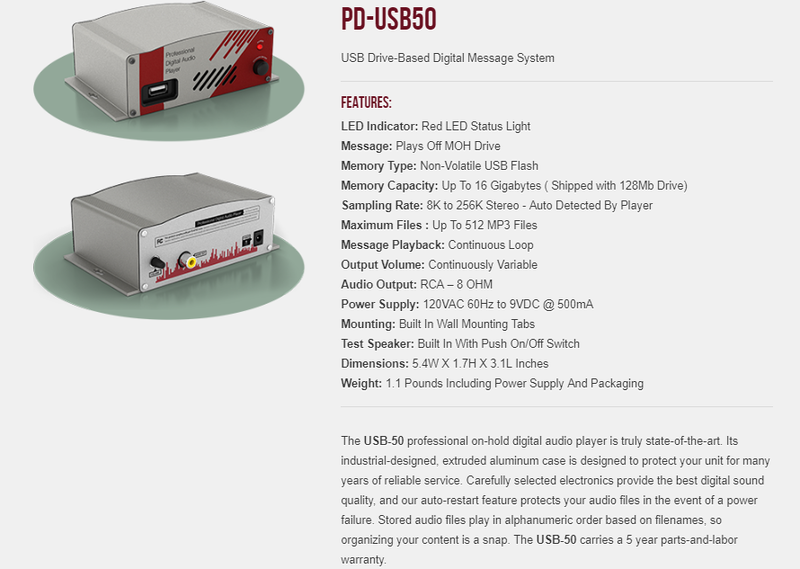 The USB 1200 is a digital message unit designed for continuous audio playback. Audio is stored on a removable USB Flash drive and plugged into the USB hub on the unit. The loading of the audio is easily done by "dragging and dropping" mp3 file(s) without having to use special software. Our price: ﻿$339.95!﻿ Compare at $479.95 Professional, Licensed On Hold Music and Messages with selectable tracks available, flash memory for automatic reprogramming and 3-Year manufacturer's warranty included. 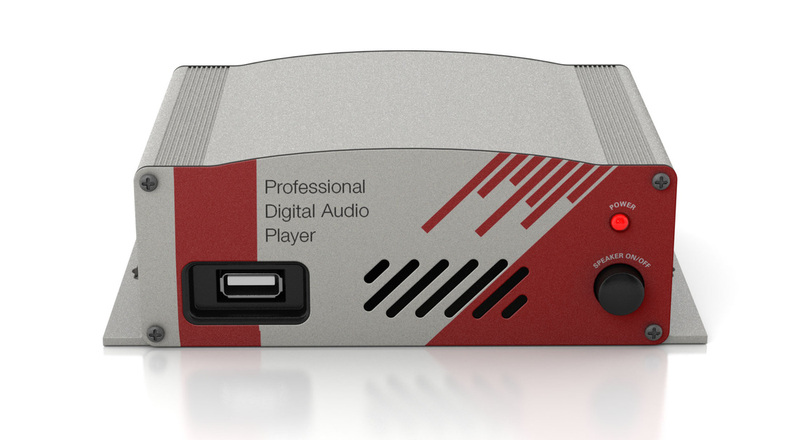 The USB-50 professional on-hold digital audio player is state of the art. Industrial designed extruded aluminum case for many years of service. Carefully selected electronics for great digital sound quality. Auto Restart feature in the event of a power failure, no loss of your audio files. Stored audio files play in alphanumeric order based on filenames on the included flash drive. 5 Year Warranty on parts and labor. Professional, Licensed On Hold Music and Messages with selectable tracks, flash memory for automatic reprogramming and 5-Year manufacturer's warranty included. Copyright©2018 On Hold Productions, Inc.
website & seo by fortson communications, inc.